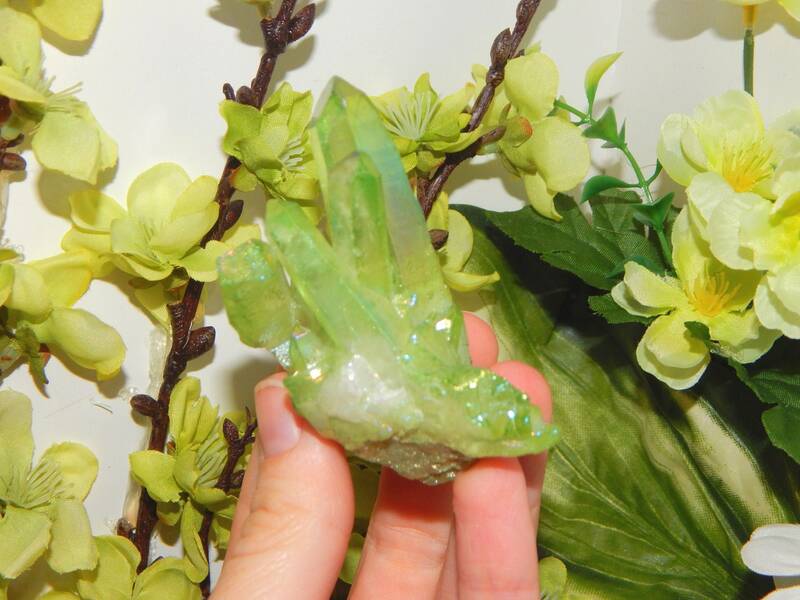 A stunning GREEN flame aura Quartz cluster witmultiple terminated crystals. 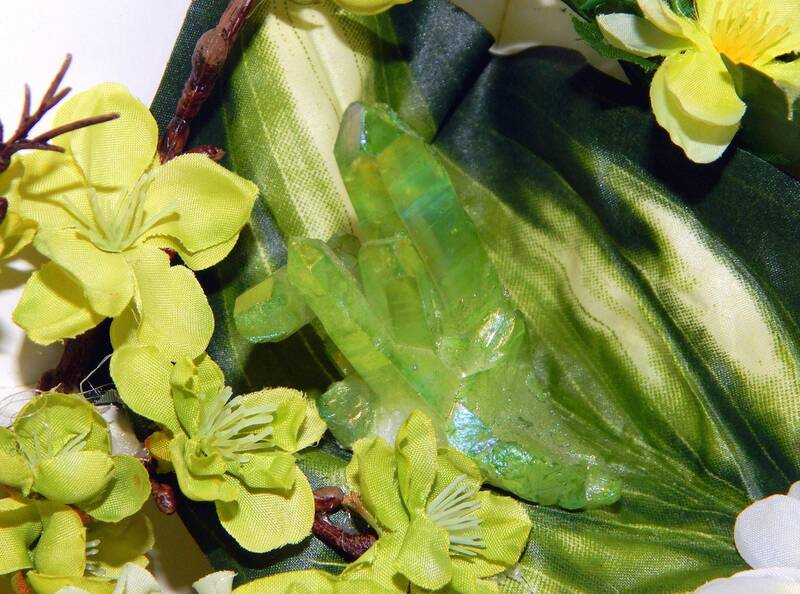 This crystal cluster weighs 72 grams or 2.5 oz. The largest termination has an eight sided grounding face; it is also self-standing. 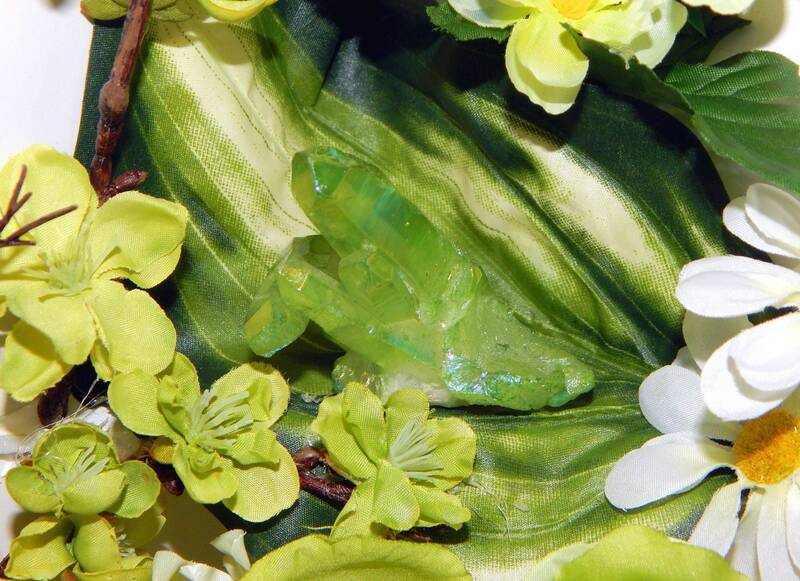 This stone is aura treated to produce the beautiful green rainbow coloration. 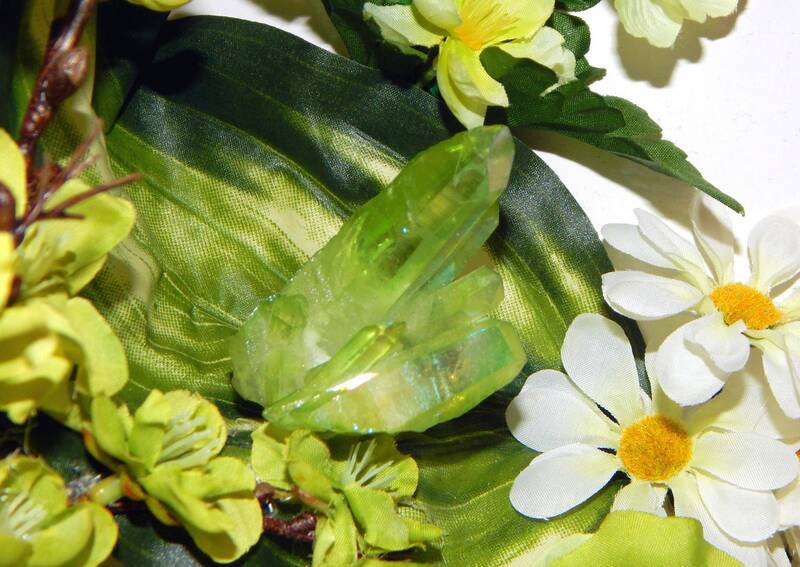 Clear Quartz bonded with Nickel;Green Aura Quartz displays a fresh, yellow-green color reminiscent of a Granny Smith or Golden Delicious. 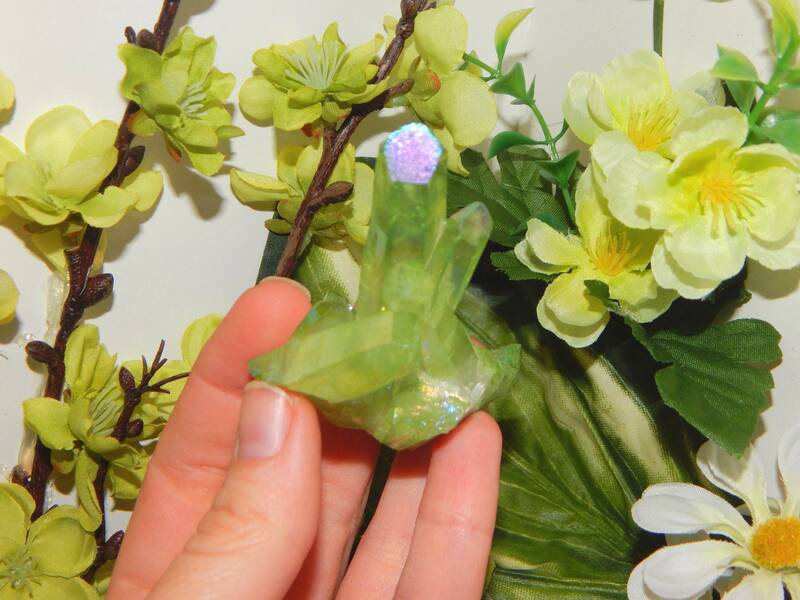 This healthy crystal is a protector of the spleen, the organ responsible for purifying the blood and boosting the immune system. Worn over the base of the sternum or taped over the Spleen Chakra, it fights energy drains and overcomes psychic vampirism. It assists in severing ties with previous partners or mentors who retain a mental or emotional hold despite physical separation. It is highly beneficial in multidimensional and cellular memory healing, and is an efficient receptor for programming and bringing the body into balance.